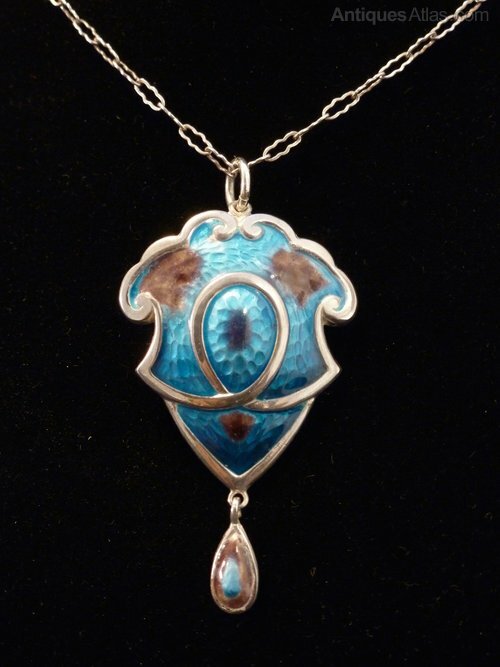 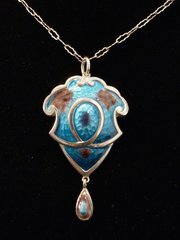 An English Art Nouveau silver and enamel pendant and dropper. 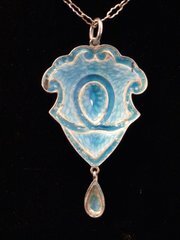 Although unmarked this pendant dates to 1910-20. 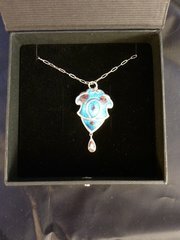 Decorated in shades of blue and purple and counter enamelled to the rear in blue enamel it is in good condition, commensurate with age. 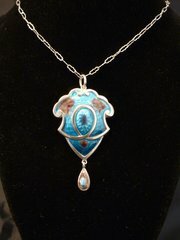 It weighs 3.4 grams including 16 " replacement chain and measures 24mm wide by 40mm deep. 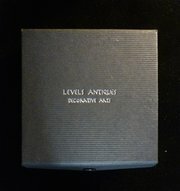 It will be sent special delivery within the UK., and airsure overseas, and posted in a custom Levels Antiques box.